Below you can view all the homes for sale in the College Park subdivision located in Las Vegas Nevada. Listings in College Park are updated daily from data we receive from the Las Vegas multiple listing service. To learn more about any of these homes or to receive custom notifications when a new property is listed for sale in College Park, give us a call at 702-323-5986. New Floors! New Bathroom! New Modern Paint!! ! MLS#2088106. United Realty Group. This home is a must see! MLS#2085327. Vegas Homes Realty, LLC. Jacuzzi will stay, is not working and will not be warrantied.We received Multiple Offers, Seller is reviewing the offer, please sent sent highest & best offer. MLS#2081796. AHP Realty LLC. This is definitely a home worth seeing in person! MLS#2081139. Forever Home Realty. Roof And A/C About 7 Years Old. MLS#2080827. ERA Brokers Consolidated. A home with tremendous pride of ownership that will not disappoint. MLS#2077383. Simply Vegas. Gorgeous Single story home, Newly painted, Brand New Kitchen cabinet, Composite stone counter top, brand new stove, updated bathroom, Modern 2 tone paint, RV parking area, Workshop space in the back yard, Set up your showing appointment today!! ! MLS#2076942. Keller Williams Market Place. 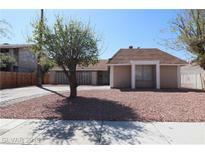 Lovely Single Story Home 3 Bedroom And 2 Bathrooms 2 Car Garage Rv Parking,Swimming Pool MLS#2076882. Xtreme Realty. Fully renovated, beautiful kitchen, 4 bed/2 full baths , large lot. MLS#2076228. ERA Realty. Lovely Bath With Gorgeous Tiled Shower/Tub Combo! Come View MLS#2075897. Turn Key Property Solutions. 4 bedrooms, huge yard, Low Energy windows. Shows very well! 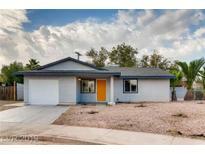 MLS#2073729. United Realty Group. Charming 3 bedroom 2 bathroom starter home, needs a little TLC but it has lots of potential MLS#2072443. United Realty Group. Home Mechanics Are Wanted , Everything is Easy with the rights tools ! MLS#2071113. United Realty Group. kitchen with a breakfast bar. Show and close. MLS#2069339. Xtreme Realty. Seller also has 1412 Helen Ave (ML#2063747) and 6325 Bannock Way (ML#2064483) available and will consider multi-property deals! MLS#2064045. Wardley Real Estate. Big lot with a lot of potential! DO NOT MISS OUT! MLS#2065190. Century 21 Americana. Buyer to verify all information including measurements and schools. MLS#2065404. Century 21 Gavish Real Estate. Well maintenance property, fresh painted,clean MLS#2060479. Choice One Properties & Manage. Open floorplan, great for entertaining, solid wood cabinets, with gorgeous faux backsplash, five spacious bedrooms, three full bathrooms, tile flooring, laminate flooring, two water heaters, large living room, huge dining room, newly added square footage, big backyard with a detached custom shed and much more! MLS#2054983. Griffin Group Realty. WOW*Gorgeous Remodeled Single Story 5 Bedroom Home*HUGE Inground Sparkling Pool*New Quartz Slab Counter-tops*New Roof*New Stainless Appliances*New Wood-like Flooring*New Carpet*New 2 Tone Paint*New Baseboards*New Designer Lighting and Fixtures*Large Kitchen*Custom Bathrooms*Fenced In Front Yard*Extended Driveway*Buyer To Verify All Info* MLS#2054053. LIFE Realty. Conveniently located close to shopping and highway. Nicest house in the area! MLS#2047032. Palacios Realty. Narrow Rv/Boat, Vehicle Parking Space Accessible On Side Of Home Leading Into The Backyard. MLS#2046491. United Realty Group. Call with any question, show anytime! MLS#2024389. United Realty Group. Awesome, 1 Story home with 2 bed - 1 bath Spacious floor plan and ample sized bedrooms. Huge Backyard. MLS#2021338. Urban Nest Realty.